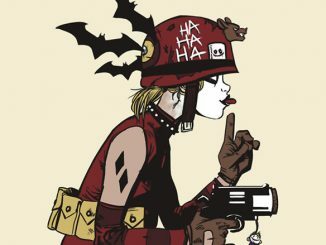 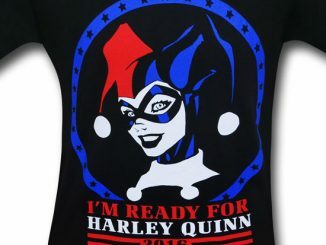 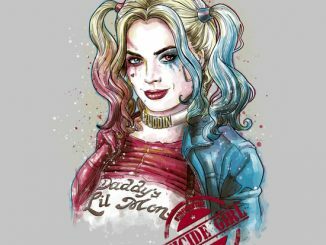 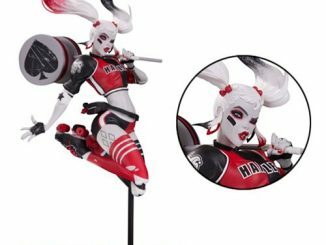 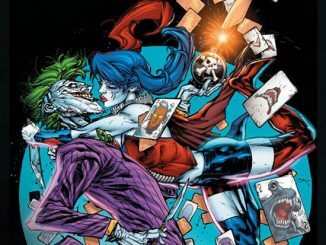 The Queen of Chaos is ready to step up to the plate on the Harley Quinn Batter Up T-Shirt, and she’s not looking to play baseball. 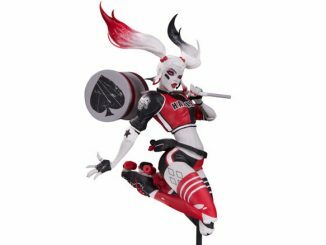 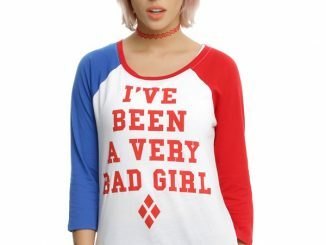 Dressed in the outfit she wears in the Arkham Knight video game, Harley is ready to watch a few heads roll, and she has the perfect tool for the job. 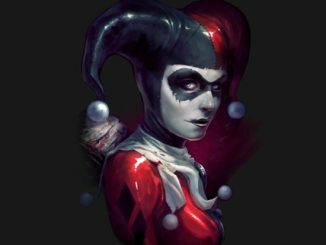 She knows the trick to a perfect swing is a solid stance and a firm grip… and a good cleaning detergent because nothing kills the mood like old blood stains in the clothes. 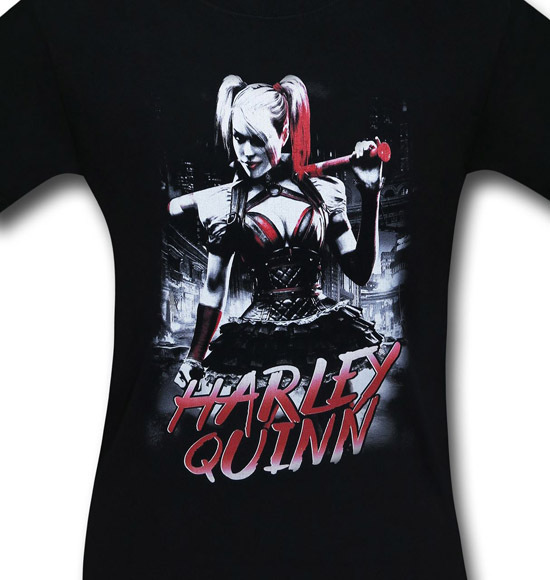 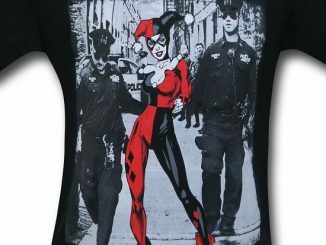 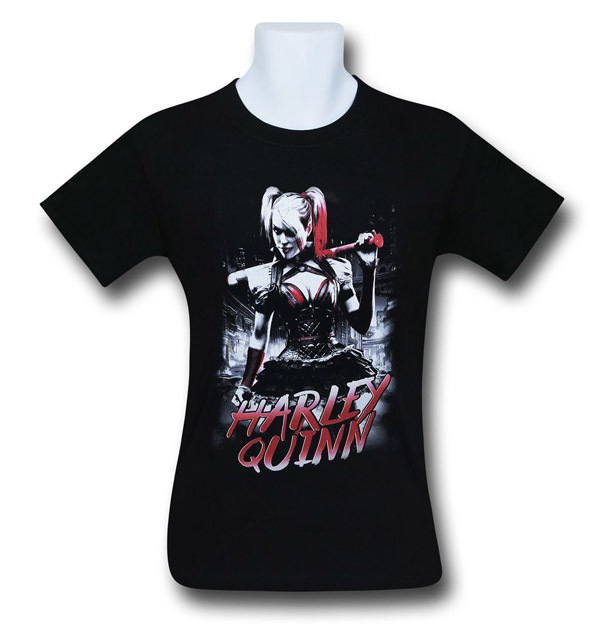 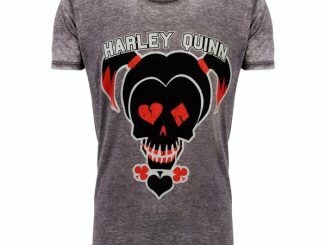 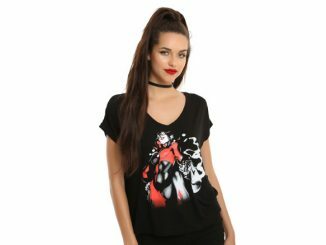 The Harley Quinn Batter Up T-Shirt is available for $21.99-$25.99 at SuperHeroStuff.com.